As your fingers flex eagerly around your Italy by Ferrari’s steering wheel, your toes dip on the accelerator and the engine awaits your first command of the day. 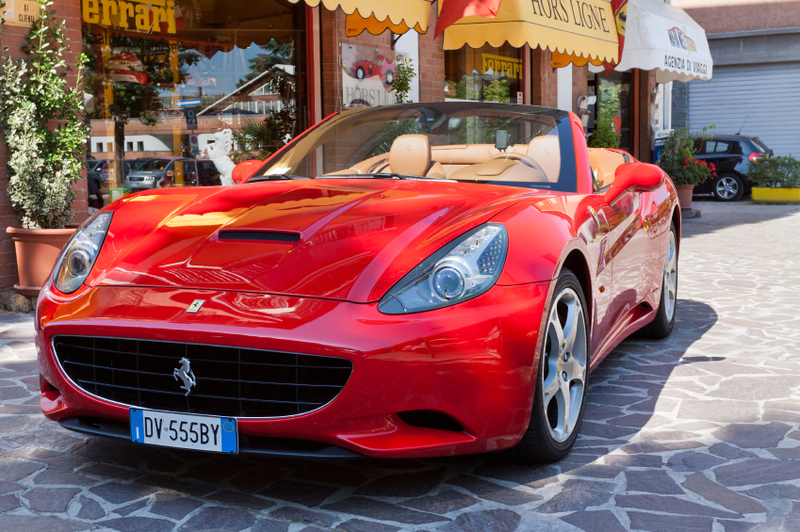 One of the joys of Italy by Ferrari is that your time is your own. Would you enjoy a round of golf each day before lunch? A dawn-flight in a hot air balloon? Or a moonlit boat ride? Only your imagination can set the scene. We are waiting to listen to your wishes and turn them into a memorable reality. While you are our guest we are constantly - yet unobtrusively - at hand to ensure that nothing disturbs the sensory enhancement of your tour. 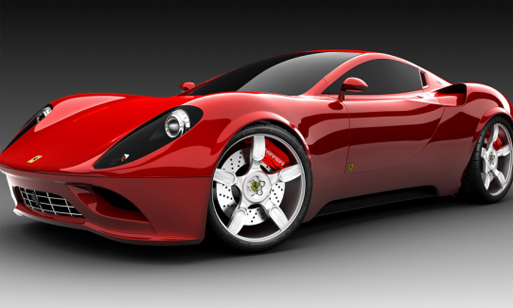 From the moment we usher you into your Ferrari we will remain discreetly at your service. Your personal tour manager leads you on your journey at a pace that you determine each day. The sun embraces you and Italy greets you as its welcome guest. These are the luxury machines you will remember for a lifetime! However long your tour is in your Ferrari, you will leave for home with a wealth of memories. Here you can see two of our itineraries. Remember, every Ferrari tours is your private indulgence, tell us where you would like to go and what it will please you to see and do. How many days will it take to satisfy your desire to enjoy all that is best in Italy? 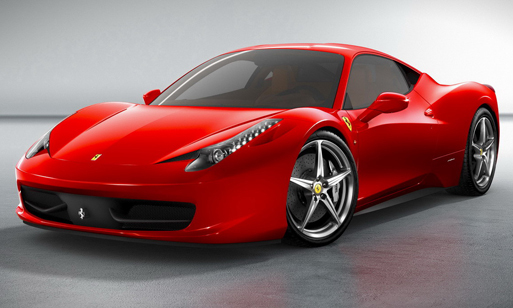 It is part of the pleasure of Italia ia a Ferrari that you can discuss the wide range of opportunities with your personal tour manager, who will be delighted to make all the necessary arrangements. Once you've landed at your arrival airport, everything is taken care of. Now you can relax and enjoy all the delights of your tour. Up to 400 Km of scintillating driving at the wheel of your Ferrari await you along the most exciting roads of Lazio, Umbria and Tuscany. Just a sample: Following your first day in Rome - a chance for sightseeing, shopping and a familiarization session with your Ferrari - you’ll be tracing the historic tire tracks left by cars in the legendary Mille Miglia Road Race. Then, the sublime luxury of a 5-star hotel awaits as you step from the cockpit. Your tour will take you north, where you’ll be pampered at the world-class Fonteverde Natural Spa Resort. Then to Pienza, Montepulciano, Siena, Ladispoli, on the fourth day we head off to Rome for your return flight. Who could resist the prospect of up to 800 Km of Ferrari-powered motoring pleasure? Just a sample: Following the route of the Mille Miglia Road Race north from Rome, your tour takes you first to the Fonteverde Natural Spa Resort. From there the road opens up to take in the colorful, rolling landscape of southern Tuscany’s Val d’Orcia, the Renaissance hill-top town of Pienza, medieval Montepulciano, and on to revel in the artistic wonder that is Florence before heading south again to Rome on the sixth day to connect with your return flight. Who could resist the prospect of eight days of Ferrari-powered motoring pleasure? This is our most luxurious service! Just a sample: We begin our tour by exploring the amazing city of Rome, then following the route of the Mille Miglia Road Race we travel north through the colorful rolling landscapes of southern Tuscany. Along the way you will experience purely luxurious Spas, Resorts, Dining and Accommodations. Your tour will lead you to Argentario on the Tuscan coast where you can indulge yourself in the Mediterranean Sea. Here you can spend the remainder of your tour enjoying beautiful private beaches and breathtaking historic locations, or request a private boat tour to visit some of the picturesque islands nearby. This is the perfect way to say goodbye to Italy before our limousine takes you to Rome - Fiumicino airport for your return flight. 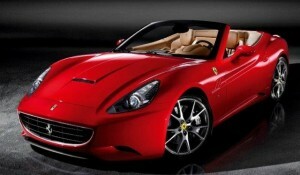 View an Italy in a Ferrari 8-Day Itinerary Brochure! Cash deposit for the car: 12.000 Euros. *Specific accommodation & room upgrades will affect actual price. € = Euro. Tour and deposit will be priced at USD$ at time of booking *Rates in US Dollars estimated on current exchange rates. Prices subject to change without notice due to change in euro valuation. Pre or post season is available and carries a supplement. “The restaurants were superb. This was food for the gods. What else could lure me from the wheel of my Ferrari?" “They took charge of the whole operation... it was absolutely perfect”.